AYYY YOOO!!!!!! I know all marvel fans is thinking about the upcoming movie infinity war. What’s gonna happen ????? So lemme tell you a little sneak of the movie. Infinity war is a six issue comic book written by marvel comics. Writers Jim Starlin and Ron Wil published this comic book on July 1992. This comic talks about the evil character of Magnus who wishes to conquer the universe as well as take vengeance from his old enemy warlock and the Titan Thanos. Magnus collected all the five cosmic containment units which we commonly refer to as the infinity stones such as tesseract. Magnus creates an interdimensional dominion and an evil image of the earth superheroes. After investigating the energy of the infinity gems, Galactus and several of Earth's heroes also investigate and then attempt to restore Eternity, the Infinity Gems can no longer be used in agreement in the Earth-616 universe. The foundation is that the Gauntlet can be reactivated, the Magnus would instantly die. The Magus sends the evil twins of the earth mightiest heroes to Earth to distract the heroes, and the evil twin of Mister Fantastic detonates a gamma bomb when the heroes gather, the invisible women had contained the blast while thor was busy directing the radiations into the space to protect the civilians, Surprise attack of Magnus and the evil versions of the earth heroes lead by Thanos lead the heroes into great trouble…………. So I'll be leaving you in some suspense as this story is not confirmed that this will be put in the movie ….there are contradictions always in such movies….. 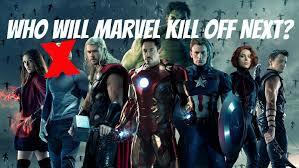 I'll like to share a fact about marvel which I know you will like a lot…. 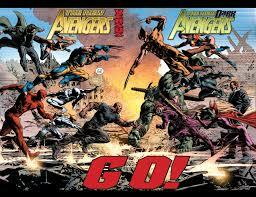 Marvel is one of the creators of the most famous movie of all time as weel as one of the best comics creator. You may be familiar with Norman Osborn the founder of Oscorp. He created a suit coping IRON MAN. He was named IRON PATRIOT. He leads the DARK AVENGERS. His team included Captain Marve as well as other masquerading supervillains like Moonstone and Venom after he was given a formula that reset the symbiote in the size that was possessed by spider-man. BULLSEYE and Wolverine's disgruntled son taken were included in the team. Actually, the dark avengers was formed not only by Norman but also with the help of H.A.M.M.E.R INDUSTRIES who were the soul rivals of StarkINDUSTRIES. HOPE YOU ENJOYED THIS !!!!!! !